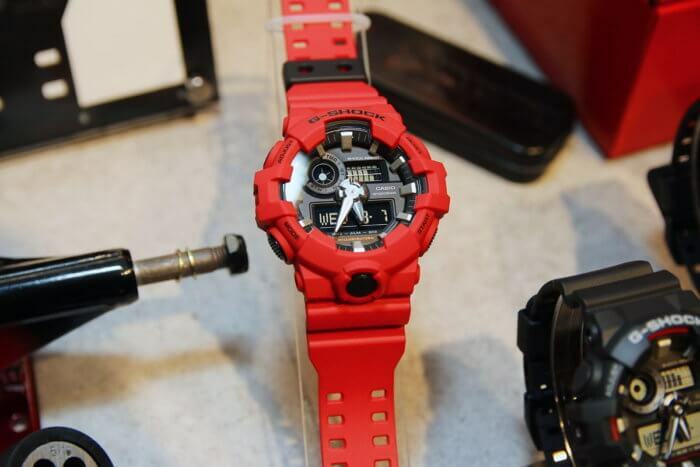 The all-new G-Shock GA-700 Series will make its debut in November with the black and red GA-700-1AJF (above, with positive LCD display), black GA-700-1BJF, and red GA-700-4AJF. 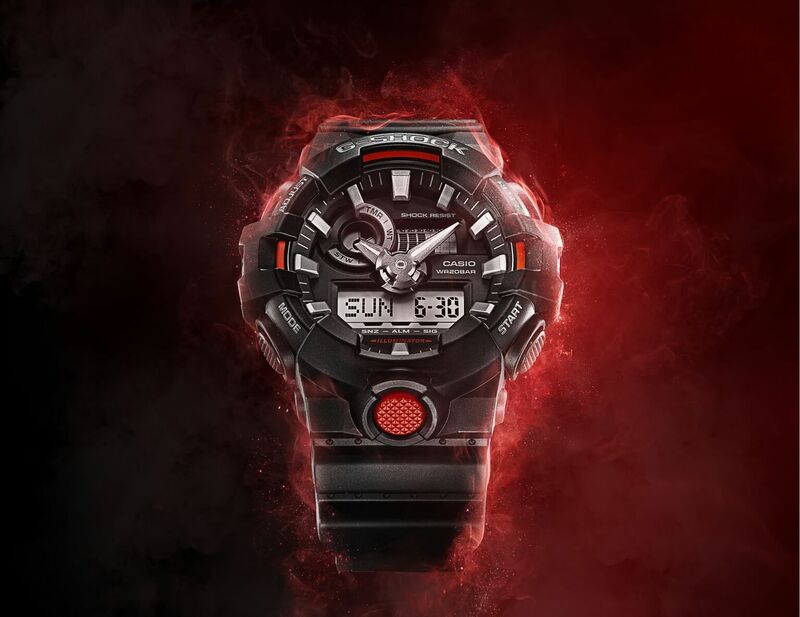 This large case analog-digital model features a deep 3D index and a front-facing Super Illuminator LED backlight button in a similar style to the Rangeman and Mudmaster. 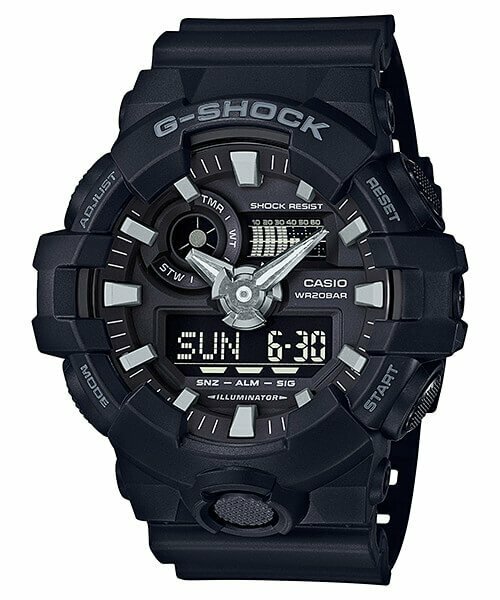 The GA-700 will be the main option for an affordable, extra-large analog-digital model with a front backlight button. Another unique feature is the dedicated stopwatch start button that will activate with one press from timekeeping mode, and a target time alert. 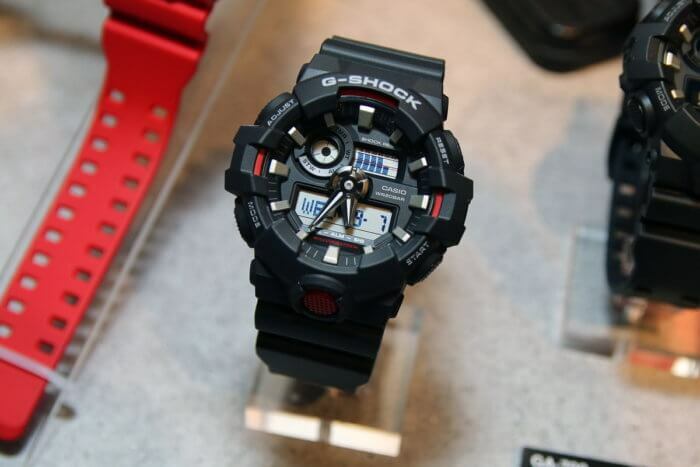 The list price for the GA-700 models is ¥14,500 JPY each. 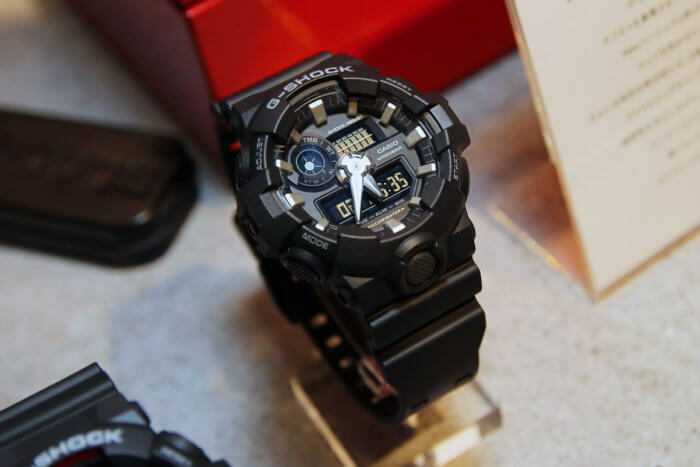 Update: Casio officially announced the GA-700-1A, GA-700-1B, and GA-700-4A. 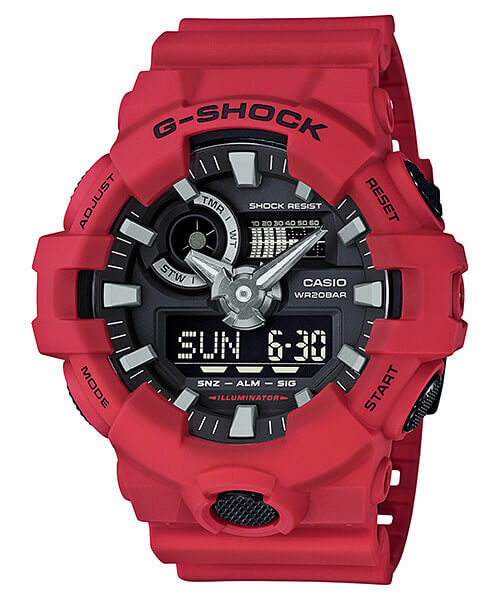 One notable specification is the estimated 5-year battery life which is very long for a non-solar analog G-Shock. Other features include shock resistance, 200-meter water resistance, world time (48 cities + UTC), 1/100 second stopwatch (24 hours), countdown timer (60 minutes), 5 daily alarms with 1 snooze alarm, full auto calendar, Super Illuminator LED light with afterglow (1.5/3 seconds), and hand shift feature. The GA-700 measures 57.5 × 53.4 × 18.4 mm and weighs approximately 69 grams. 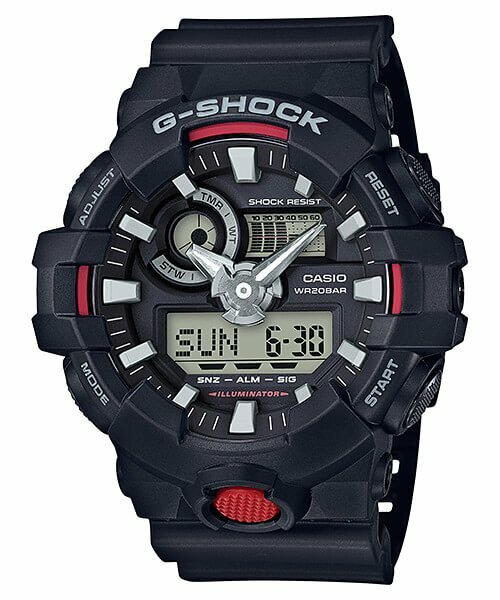 Update 2: Casio USA announced a November 2016 release for the GA700-1A, GA700-1B, and GA700-4A with a list price of $99 USD each.